Everyone is vulnerable. Even a person who always pays with cash can become the victim of fraud when a criminal obtains credit with the person’s stolen identity. As mentioned in Identity Theft and How to Spot It fraud offences can occur in jurisdictions far from where the crime victims reside. It’s no longer unusual for phishing scams and credit card misuse to originate abroad. And the more complex the investigation, the less likely the responsible party is to suffer a penalty for the crime. 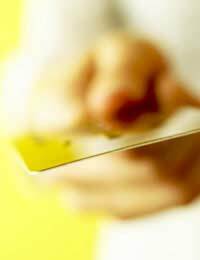 Credit card and bank account fraud are never simple matters to investigate. Anyone whose identity has been stolen knows the reporting process itself is daunting. A victim can expect to spend many hours arranging for account balances to be corrected and re-establishing a good credit rating. Not least among the annoying tasks is overcoming fraud investigators’ natural scepticism. Disbelief can seem insulting, but the truth is many criminals exploit businesses by falsifying fraud reports. The first thing an investigator must rule out is criminal complicity on the part of the person lodging a fraud complaint. It’s one reason companies require fraud complainants to report the crime to police. Because fraud investigations are complex and time-consuming, the vast majority never result in criminal prosecution. Even more frustrating for victims whose identities are stolen is the fact that the decision to investigate is usually not theirs to make. Identity theft victims sometimes suffer no financial losses, because their accounts are reimbursed for fraudulent charges. In such cases, the choice to pursue an investigation is usually left to the business that absorbs the loss. Often, it’s not in a company’s financial interest to compound its losses with the additional expense of cooperating in an investigation. In fact, the costs of fraud are typically passed on to consumers. The decision to investigate may ultimately rest with a law enforcement official that determines whether there is sufficient evidence to warrant proceeding. An overworked police investigator can be compelled to devote time to only those cases most likely to result in arrests. A fraud with minimal “solvability” can generate very little interest. After putting the situation in proper perspective, there are certain things you as an identity theft victim can do to facilitate a fraud investigation. Willingness to assist investigators is a good thing, but avoid pressuring them for results. Your case may be vitally important to you, but it could be the least of many competing concerns for the investigators. Write down the dates, times, telephone numbers, and names of anyone with whom you discuss the fraud. It’s also crucial to note the crime reference number provided by the police and any case or reference numbers relevant to the merchants or banks you contact. If a criminal investigation is launched, the various entities will need to communicate with each other. You can encourage their cooperation by providing them with each other’s contact information and reference numbers. Ensure you’re always available to take an investigator’s call at any time of day. An arrest might depend on your availability to answer a question at a moment’s notice. Gather all available documents pertaining to the fraud, such as account statements, letters from merchants or banks, collection notices, handwriting examples, digital images of cheques, and any items requested by investigators. If they exist, try to ensure surveillance images of the fraudulent transactions are preserved as evidence. Companies differ in their policies on retaining surveillance video, which can be destroyed in a matter of days if not needed. Most businesses will only release the recordings to investigators, but their security or management personnel might be willing to review the recordings at your request or show you the video if you think you might be able to identify the fraudster. Additional suggestions can be found in the article Compiling Evidence. Be sure to discuss evidence collection with the police investigator assigned to your case. You might be directed not to handle certain types of evidence or not to discuss your case with potential suspects. Follow the investigator’s instructions. Unwittingly hampering efforts to solve the crime will benefit no one. Being available, cooperative, and interested are the best ways to contribute to a favourable outcome. There's going to be a limit to what you can do in this instance and you certainly won't be able to investigate the fraud yourself - you just won't have the expertise. As stated, all you can do is gather your records as fully as possible and put everything you can on paper so it's available to the investigators. It's unlikely that anyone will call you at night, but making sure people have your mobile number can take care of that problem.